The next day (1st Day), the embryologists inform you about the number of the fertilized eggs and their development rate. In cases where there is a large number of fertilized eggs, there is the possibility of cryopreservation in liquid nitrogen for future use from the couple. The hatching of the fertilized eggs continues and the Embryo Transfer follows during the 2nd or 3rd day of their hatching. The quality and the morphological image of the embryos on the 3rd day of the hatching is a precondition for the selection of the Embryo Transfer day. Zona pellucida (ZP) protects the developing embryo from infections and holds the initial cells together while they are still autonomous. 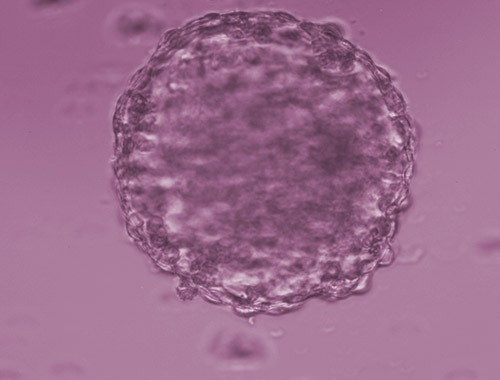 As the embryo develops after the stage of morula, ZP starts thinning and in the stage of blastocyst it splits so as hatching and then pregnancy can be achieved. It is suspected that with the multiple maturation of the follicles, the medication, the cryopreservation etc, ZP is much more solid and it is harder to split naturally. It has been established that its artificial opening in the lab increases pregnancy rates.